Electronic devices have come a long way in the last few years and with new and “improved” products hitting the market on a regular basis consumers and businesses alike feel that they need to the have the latest electronic gadgets that hit the market. While these electronics to do better and better things and make our lives easier and more convenient they also result in the tendency to either accumulate unwanted or unusable electronic equipment that ends up in landfills. Even those consumers who are concerned with waste and recycling simply have no idea how to recycle unwanted or no longer useful electronics. One thing is for sure however, and that is you can't throw those electronics into the dumpster to have them carted away here in Brooklyn as many electronics contain toxic materials and there are rules and regulations regarding the the disposal of these products in order to keep people safe from effects of these toxic materials. Dispose of them wrong and you could be facing extremely heavy fines. Electronic equipment that needs salvaged includes data process equipment including computers, monitors, and printers. Cell phones, radios, CD players, and office equipment and much more. Much of this old electronic equipment can be refurbished or recycled. Reclaiming Precious Metals- Many electronics contain gold and other precious metals, reclaiming these materials is important because it can reduce the amount of damage done by mining. Allows for the proper disposal of toxic waste, which can affect the quality of water, land and people's lives. Reduction of Solid Waste to help reduce the amount of waste products that go into landfills each year. Here at Flat Rate Junk Removal we can recycle those electronics for you. We are located in Brooklyn, but haul junk and recyclable materials throughout the New York City area. Just give us a call and we will come and haul away those electronic items for you regardless of size. And we will see that they are either recycled or disposed of correctly saving you the the hassle, headaches and possible fines you may incur if you dispose of them incorrectly. 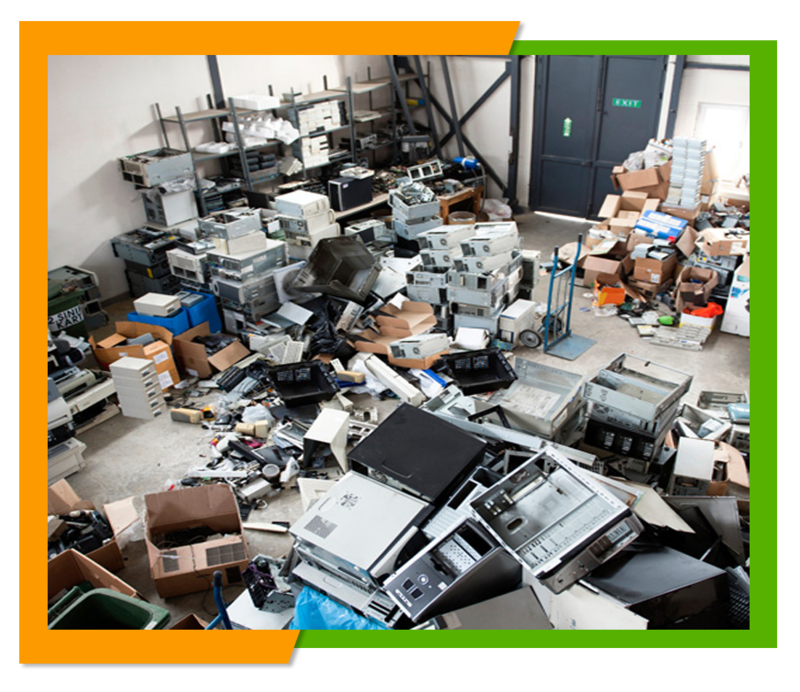 We deal with residential, commercial and industrial electronic recycling so we can meet your needs whatever they may be. Here at Flat Rate Junk Removal we do everything we can to keep our rates reasonable. We charge a flat rate so you know upfront what the cost to you will be. You will never find any hidden costs attached to our services. Why not check out price list here on our website at www.flatrate-junkremoval.com or give us a call at 1-800-299-5865 to get a free estimate based on your individual removal needs. 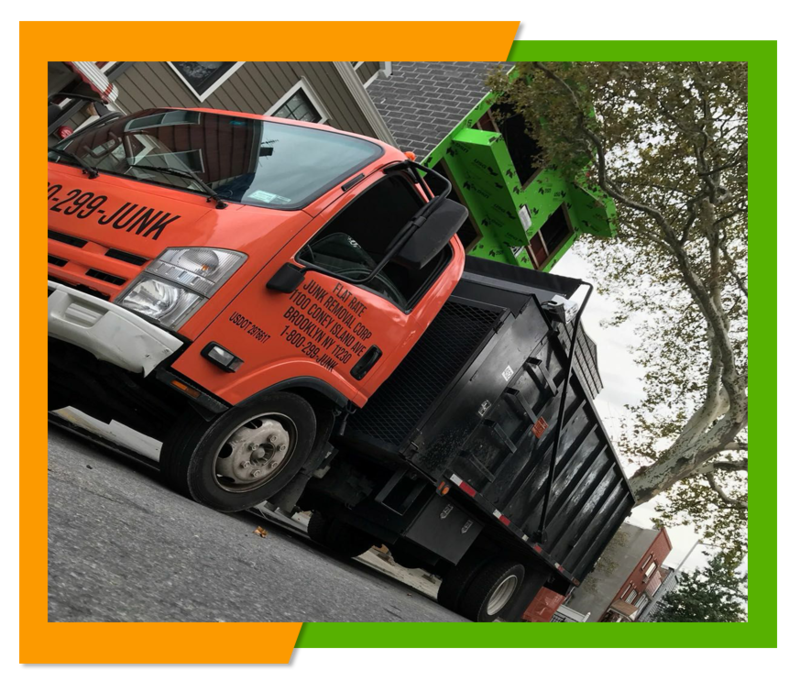 You can also talk to our representative to schedule an appointment, ask any questions you may have, or simply learn more about our full range of junk removal services.